HMI Squeegee is a precision cut, polyurethane product available for use in screen printing materials associated with the electronics industry. Our Precision Squeegee is available in a range of durometers (60, 70, 80 and 90 - color coded for easy identification), with precision-cut edges and the chemical resistance inherent in their polyurethane material construction. Available in several profiles, the standard is the 3/8" x 3/8". The squeegee can be customized to lengths less than 26". It is available off the shelf in 12" and 26" lengths. A Squeegee Cutter is available to allow customers to cut the squeegee to length, as needed, on the shop floor at the point of use. Combined with the standard HMI Squeegee Holder (a standard on all HMI printers), the squeegee can be turned several times to make use of each precision cut edge and to maximize the life of the squeegee, and to minimize the downtime required by replacement. 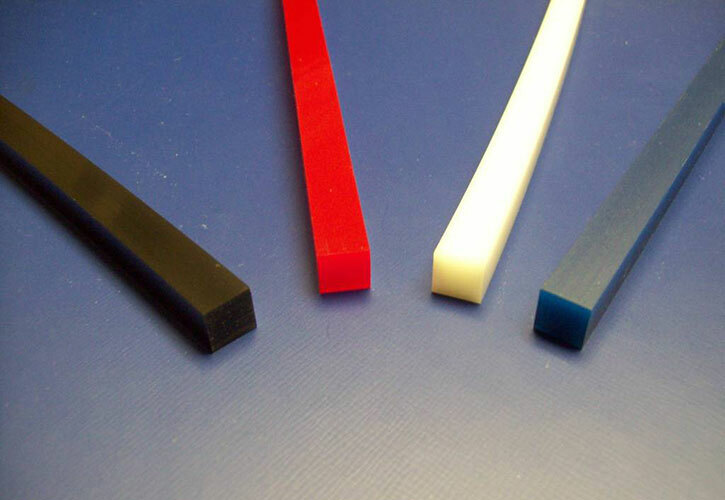 Free samples of HMI Squeegee are available upon request for evaluation. Cross Section Dimension: 3/8" x 3/8"